We choose this pattern for our exciting new Block of the Month for 2019. Don't let the 5* scares you off! We'll guide through this glorious pattern step by step. And with a supporting new Facebook group, specially for "Dream Flight" you will enjoy making this fabulous quilt. When you purchase the pattern for our BOM, you will notice that it is different than the usual BOM programs in that all the months will be provided within a single package. Also contained within the package is an instructional booklet. Using this booklet we will guide you through this journey month by month, step by step. For enthusiastic “Dream Flight” sewists we have created a special Facebook group. 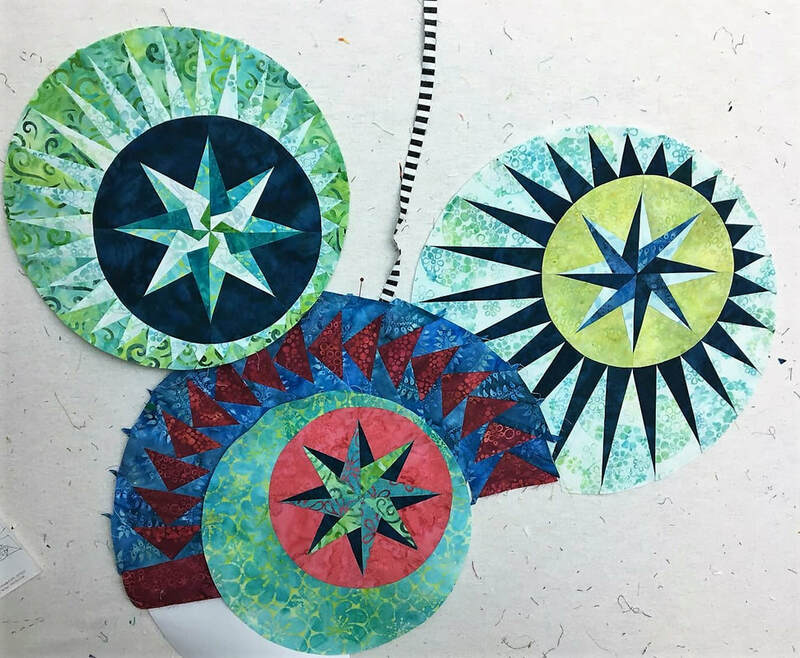 Joining this group will allow you to view the steps we make every month, see pictures of work in progress, and watch the tutorials to learn the skills to make the stars, flying geese, and spikes. We will also show you how to work with curves, double seam allowances, and the other details you will find in ‘Dream Flight”. We will post how-to videos, photos, and will give all kinds of information to guide you through our beautiful Block of the Month. You were all invited to share your progress with photos on this Facebook group. If you have questions regarding the pattern, this is the perfect place to ask. The BeColourful team; Jacqueline, Bridget, Lisa, Megan, Anne, Maureen, Melanie and Katja -our highly skilled teachers from the USA, Canada and Germany; are ready for your questions. We will help you wherever we can. Dream Flight is not only designed to work in or with a group, you also can work in your own pace. But a little assistance in some parts of the process might be helpful. That's why we made some helpful tutorials to guide you along the way.